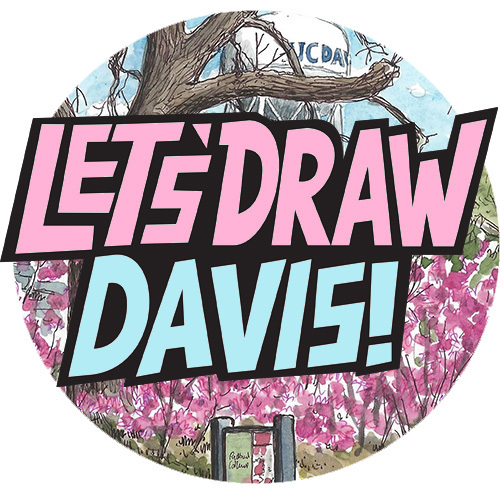 Join us for another sketchcrawl in Davis, California! 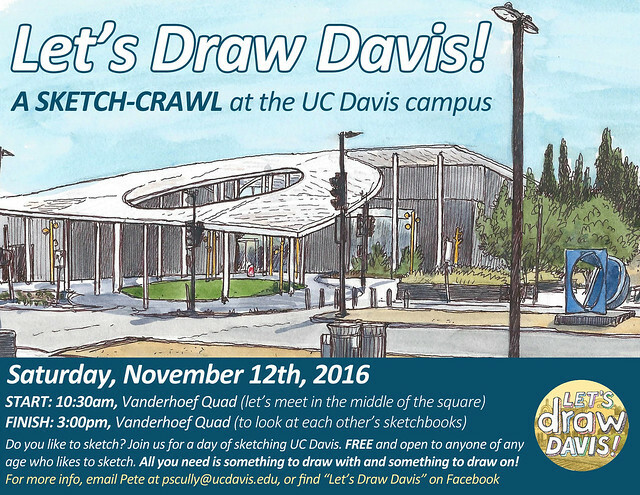 This time we will sketch around the exciting area of Vanderhoef Quad, on the UC Davis campus. This is home to the UC Davis Welcome Center, the huge Mondavi Center for the Performing Arts, and of course the brand-new Manetti Shrem Museum of Art, which has its grand opening the very next day. Not far from here is the Robert Mondavi Institute for Food and Wine Sciences, an interesting place to sketch with its Good Life Garden (Jerry and Margo live next door), and of course the UC Davis Arboretum and Lake Spafford are just a couple of minutes’ walk away, a peaceful place to sketch. As always this sketchcrawl is FREE and open to anyone of any age/level who just wants to get out and sketch, and meet other people who like to sketch. All you need is something to draw with! Hi Joan and Larry, you can always post them on the Facebook event page itself: https://www.facebook.com/events/338023246540631/. I haven’t set up a forum to share sketches from the ‘crawl but maybe I’ll just encourage folks to share them there. Cheers!